One thing about the acting business is that you’ve always got to be on your feet. Ready for anything. Able to improvise at the drop of a hat. This past Saturday I had, probably one of the best auditions of my life. It was for the lead in a TV pilot. I got the scene two days before and I just rehearsed the crap out of the thing. Knew it cold, frontwards, backwards and sideways. I was going to nail it. I was prepared. Uuuhh…Three words. Come on, BBB, you’ve been doing this silly little exercise since kindergarten. Just THINK OF SOMETHING. But I walked away from that audition feeling on top of the world. I really connected with the part and I truly felt like I did my best. But after reflecting on it some more, that silly little “getting to know you” question really stuck with me. Why was it so hard to think of three words? And yes, a lot of things went through my mind to say: energetic, outgoing, kind, empathetic, caaaasually witty. But those just weren’t really hitting it. To answer that question, I had to first answer this: Who am I, really? I mean, that’s a pretty deep question when it comes right down to it. Yes, I was pretty accurate in my answer. But there’s a lot more to me, too. What I wanted to say was this: I’m a believer. I’m an overcomer. I am strong. What I wanted to say was that I have gone through some pretty heavy crap in my life and have survived. Come out the other side more resilient and more in tune with who I am. That I am a mended piece of art — that I have been broken, but have been put back together, and God has made beauty from that brokenness. I wanted to say that I am complex. Full of thoughts and ideas. That even though I am cheerful and generally a pretty happy person, that I have seen some dark times. That I have persevered through pain. Despair. Seasons of true destruction of body, mind and spirit. But that I did not succumb to that darkness. I was a fighter and reclaimed my life. My freedom. My soul. And what I really wanted to say was that I cannot and could not be any of those things without the saving hand of Jesus. That He was and is the one who strengthens me and allows me to be every complexity and nuance and intricacy that is the young woman standing in front of you today. Fun loving, a good friend and true to myself — sure. I guess you could say that was my “PC” answer. The pageant version. But there’s more to me than that. A depth the cannot be captured in three little words. So now, I turn the question to you, and invite you to take a minute to reflect on the person you’ve become as a result of all your yesterdays and trials and triumphs. I’m glad it went well, and I will pray getting the part is in His plan for you. You’re already a star to me anyway. I am all that I am now with more to come along the way. That’s the best way to describe me. Sweet just like the smell of springtime flowers. Wow… his was an interesting and emotional read, and it has given me much to think about. Also: good luck with the TV pilot <3 you can do it! I’d have to say passionate, confident, vast. Sounds pretty prideful doesn’t it? lol. Passionate because I love the things that I love. That which I love is what I pursue after the hardest. If I love you, you’re going to know it despite my flaws. Confident because of what I’ve been through and who brought me through it. I’m not confident in myself because of who God is making me. I’m confident because of what He’s done for me. Vast because of the emotions I feel. Yeah, I’m a guy and yeah, I have emotions. Lots of them. Like you, I’m so much more than a gender stereotype. I feel, I breathe, I live. These are who I am. Haha rock on I shall 🙂 you too! It’s a hard question to answer when who we were before Christ is so very different from who we are now isn’t it?!? I hope everything works out for you on the tv pilot. Oooo just like being in an interview; you’ve practiced and prepared then it’s one of those psychological questions that throws you for a loop. I probably would have choked. You are correct when you say that the question can take you deep if you choose to dive into it. In my B.C. days I would have said that I was more a chameleon in that I would change who I was based on the crowd I happened to be with. Now I would say real, teachable, responsive ( which is currently under renovation ) would be three that would describe me. The question can stir fear deep within as you may wonder ” Am I enough”? I hope you get the acting gig btw. So exciting!! Congrats, didn’t know you were doing the acting thing. Maybe i’ll have two people in the biz I know or know of. Stay strong! Love, love, love this! Great post!! I bet all of that came through in your strong audition. You’re a legend. Hope you get the part, but regardless of whether you do or not you should celebrate your strength and resilience. And everything beautiful that you are. A lovely post. Hi Ana. Nice post; it brought something slightly off topic to mind. My 12 year old son wants to be an actor. Have you done a post that speaks to the difficulty in living for Christ in Hollywood and the bearing of your faith on the types of roles you audition for. When anyone gets put on the spot they will say something PC. No shame in that babe :-* At least next time you’ll be ready. Good luck with the part!!! That’s the core of it at least. There are deep layers in between each. Hope you get the part! I hadn’t thought about that question in the same depth before….normally I answer it with silly things like “bookworm” “spartan” and “mini-mom” (I take the whole three words thing literally…) but you have a good point. There is so much you could use to describe yourself, and so many ways you could show your walk with Christ and your adventures through life. I think the next time someone asks me that I will try to answer it seriously, although I can guarantee that my answers won’t be as well received as the sarcastic quirky ones I usually go for. Just from reading your blog, the first word that I felt described you was “warrior.” You’ve used it often, and I think it best shows what you have gone through. The next though, was “comforter.” You have no idea how many people you have encouraged through your writing. Thank you for sharing so much of your struggle, and your victories with everyone who reads your blog. And while this is off topic I just wanted to say that I mentioned my sister on one of your older posts and she is doing a lot better now. She started dance last month and has fallen in love with it, and she’s getting stronger and healthier than before. There are still bad days as well as good, but she has gotten comfortable around us again, and that’s really important to me. Reading your blog has helped me talk with her, and it reminded me not to give up on the bad days. By sharing the love of Jesus, you have blessed me and my family. Shalom. I like the expression…a mended piece of art – that has been broken, but has been put back together and God has made beauty from that brokenness. I so agree. As Christians, we are new in Christ (2 Corinthians 5:17) and not just the people we “try” to be, if that makes any sense. We are loved unconditionally. We are forgiven. And that…that is amazing. Thanks for this! Hey John! Oh thanks☺️ you are so right- three words is definitely not enough! Thanks for the affirming words. Hope your week is off to a great start! As always, thanks for stopping by and being a bright spot! I really needed to read this. I really loved the quote, “Don’t judge someone’s story, by the chapter you walk in on.” I think it goes so well with the clients I have at work and even my co-workers, because everyone has some sort of past, that gets them where they are today! My three words in middle through high school were definitely Shining Through Pain, and I think now it would be Overcomer, Compassionate, and Survivor. Loved this post! Wishing you the best on the pilot. Keep the faith. I dislike those canned questions…when I was in college the people giving us interviewing advice were always telling us what to expect, and would say when you are asked what your greatest weakness is to say something like, “I work too hard” I thought that was ridiculous, and when I was in a job and had to interview people I just tried to get to know them and see what interested them and whether they were a good fit. It made more sense to me that to ask people things that had no good answer. On the question you were asked I am sure they were just randomly looking to see if you could adapt on the fly and be a fast thinker…kind of like the “tell me the first thing that comes to mind when I say….” game. I hope you get the part if it is one that you truly think you will enjoy and that you will grow from it. What a great post! So happy you were able to think of a something despite the fact that you were put on the spot. I’m not sure that i’d be able to say anything that I felt was truly me. But from what I’ve read in your posts, if someone ever asks that again, you should consider saying: powerful, devoted, authentic. Because those words definitely describe you too. =) Hope you get the part! A beautiful truth, thank you for sharing. Beautiful….. I would say, I am loved. I am forgiven and I love to love the broken, because He loves them. Love your posts. I pray for your influence in Hollywood to grow. That lives would be changed. Regardless of circumstance a truth for me is that I am blessed. I regret that my behavior in those circumstances often do not reflect how I am blessed. The shear fact that I am saved despite myself should be the most important element in all marketing of self. This is just the post I needed to read this morning, as I start my day. And I think I’m going to read it again now! Thank you 🙂 And I hope you get the part. But even if you don’t, you have already taken something good from the incident / encounter. It is refreshing and inspiring to see someone who does that. I must learn to do more of it. Thanks Buddddy! In my best E.T. voice. “Frrriiiend”? I don’t like to discuss intake as it is triggering for many. Anytime you kinda grown on me these last few months. I gotta look out for you I don’t have too many Believers on my side. Hi 🙂 I have a question for you buddddy! To me it seems like you love to write. You’re a very deep thinker. Maybe that’s why I’m your buddy 🙂 I also notice that you speak strongly about your faith. I admire that. My question to you have you ever thought about writing for a newspaper? I know you may be worried about your name and fame getting out so what about a pen name? Just a thought…. Have a great day I hope it’s full of great joy for you. Thanks for this. That’s kind of you to say. Nope just a blog☺️ maybe someday! Dear BBB, how are you? The reason I am sending you this message is because, I have an issue going on with my stomach right now I can’t eat much I don’t know why. I’m at the hospital now trying to figure out what’s wrong. As I am waiting for the MD. I started to Google anorexia. I nearly weeped for you. I don’t know who you are but you certainly are more than beautiful. You’re special to me and to God. Oh gosh, I hope you feel better. Saying a prayer. I’m going to be blogging about this experience and the experiences I’ve had over the past few days in devotional called Ravens still fly. Guess where that verses from??? Thanks Daisy! I appreciate it:) wow what an awesome perspective. Thank you for this. You’re right-finding my true spirit is definitely important. Thanks for stopping by! Hope you have a beautiful day! Hugs! I believe God could turn wounds into a scars. Scars doesn’t leave a painful moment, yet an incredible story. This story is one of them.Love it and keep it going my friend! I love this! Thank you for your encouraging words! 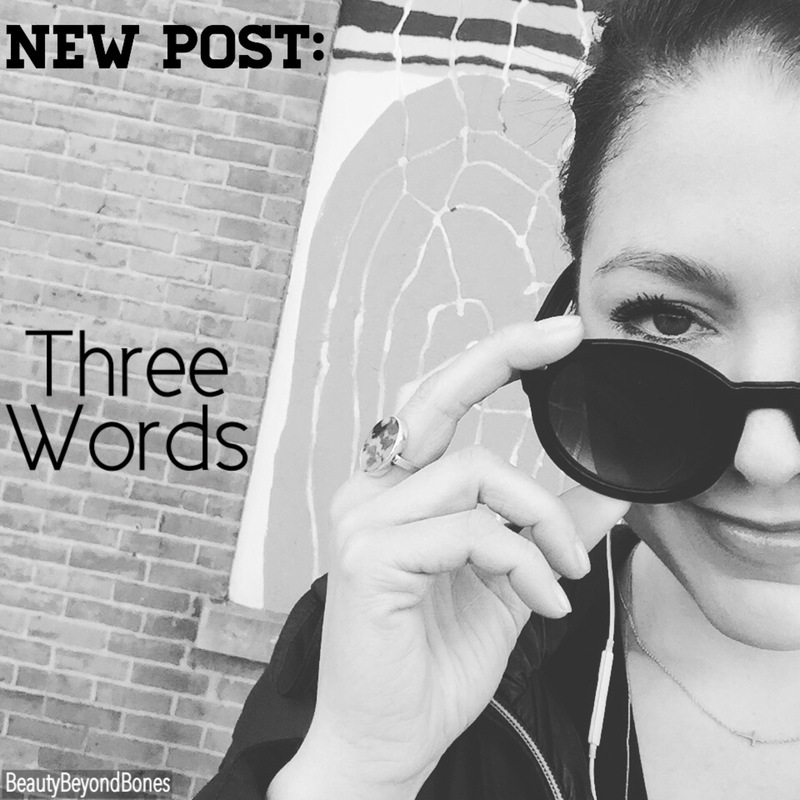 I think that I would struggle just as much to come up with three words to define myself. Some days, I feel resilient, blessed, and growing. Today, those words are, terrified, small, and weak. I had a pretty rough couple of weeks at work, and there are some pretty huge obstacles ahead of me. Frankly, I’m pretty much in agony about it all, and I’m struggling to trust God. What do we do when we are not the ones who know ourselves the best? My psychiatrist and my nutritionist see me much differently than I see myself. They wish that I had more confidence. I know that God sees me far, far differently than I see myself. I am just praying and hoping that this whole thing is another step in my journey and that it starts to make some sense soon. Btw – I love the little pic with the words “Don’t judge someone’s story by the chapter you walk in on.” That is a message to keep at heart always! Thank you! I hate interview/audition questions that keep replaying in your mind but here you’ve gone and made an awesome blog from it! Thank you for sharing your thoughts. My first three were mother, reader, believer. For an interview I’d try more for caring, organised and passionate. Congrats on the audition BBB. That pretty much sum me up. I LOVE YOUR POSTS, your perspective ! Btw, you mentioned going through “crap” in your life which brings depth and resilience. Precious pearls come through much pressure (suffering). That’s what makes them precious. I think that’s why Jesus called us His pearl of great price that heaven purchased. Blessings. Mended, soft and big-hearted. A believer in the Most High, Jesus! What a beautiful post! Thank you for posing the question! This is a thought provoking question I have battled with. You nailed it very well. Who we are is as a result of all our yesterdays, what we have learnt about ourself in good and bad times. Thanks for sharing. PS: I don’t know if you listen to/like Christian rap. But I encourage you to listen to the “Instruments of Mercy” album by Beautiful Eulogy… I just the thought of you, and how the Pope called this year “the Year of Mercy.” I’m not personally Catholic, but I pray it blesses you in your walk with Jesus. 💒 “Blessed are the merciful, for they will be shown mercy” (Matthew 5:7, NIV). anks for giving it a voice with depth perception. For sure! Did you follow my 2chicks or either of the perspective blogs? I’m not sure what I come through as and to whom. Learning curve. Beautiful thoughts and very well written. Particularly when you say “I am a mended piece of art” … I believe that those who are mended are very lucky as someone somewhere took a lot of love and care to mend them. Stay strong, stay happy. Take care. Yeah. . I get caught up in those moments too. I liked this one. Your last point about not judging someone by the chapter you walk in on…. very thoughtful. How do you find out about auditions? Beautiful. Great question! Pondering the answer still. That’s so exciting to audition for a pilot show! So cool! Haha I probably would’ve rambled for a couple hundred words and 5 minutes late summed it up awkwardly with 3 words lol. God bless! Thx you too! I have an interview myself tomorrow…I’ll have to practice my answer to the 3 words question beforehand! Nerdy, geeky, and loves Jesus? That’s like 4 words but whatever lol. Have a great night! The best answer is to ALWAYS be yourself. This requires understanding who you truly are. Understanding who you are helps one find direction in life. From here, anything becomes possible. Good luck on being chosen for the part. I don’t know you personally but I wish that you get the role. It’s an interesting and difficult read as the question you have asked in the end is tough to answer. Like our skin our character also has so many layers…Loved every bit of this post! I asked myself what I would’ve answered to describe myself in three words. Maybe not what they were hoping for but I would’ve answered, “father, husband, son.” That pretty much describes my motives. Great post! Good luck, I hope that you hear back soon! Wonderful blogpost. I stopped on the image with the flowers which says that if flower could learn to blossom again after winter, than human can do it too. BBB, what a insightful post! I especially liked that you didn’t let the question defeat you, it might have been out of the blue, but you didn’t resort to negative thinking afterward. I (probably) would have been caught up in the should I have said that? Possibly leading to disordered thinking and actions. You are awesome lady! That is an unfair question. It’s like the question “Have you stopped beating your wfe? In one word” We are all complex beings made in the likeness of God. Packed full of His beauty, unique talents, sense of justice need to love a to be loved. There are a lot if thoughts that flood in when asked that question and they might be effected by a lot of things: hormones, lack of rest, poor health, loss, loss of important things that need to be resurrected NOW, disappointments, success, affirmations, honor, financial blessings. But above all our circumstances God is always good, always unchanging, always right. And I am what He says I am no matter how I feel. I am victorious. I am a warrior. I am a healer. I am His daughter and I bear His glory wherever I am. It occurred to me you might have thought that I thought you were being unfair in asking that question. For the interviewer it’s a legitimate question but it can never begin to touch on all who you are. There are times for deeper disclosure and times for a light coat. How you responded was perfect. Jesus spoke to the crowds in parables but He explained the deeper truths only to His inner circle. Actually that would be a good ice breaker question in a small group. Hi Jan! Oh gosh, no I didn’t think that at all! ☺️ I just love hearing your perspective and insight. You have so much wisdom and evident love for our Father:) you’re right-a good small group question. Following now cause I feel you on ALL OF THIS! Such a great post!!!!!!!!!!!!!!!!!!!!!!!!! Your posts give an interesting glimpse into a changed life. Consider an interview on my podcast? Hi Wayne! Thank you so much:) that really means a lot. Yes, I would be interested. 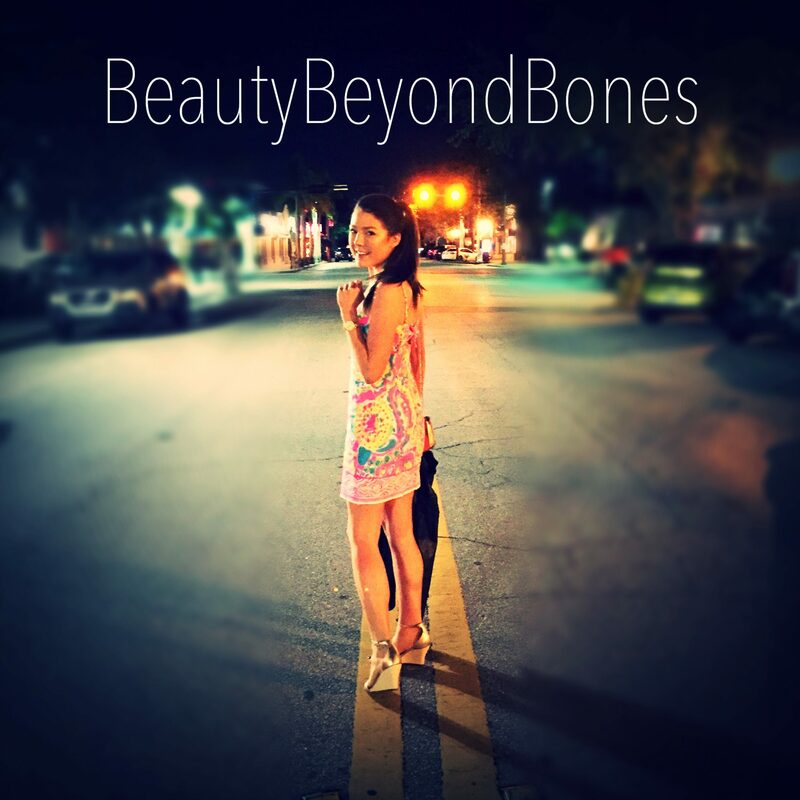 You can email me BeautyBeyondBones@yahoo.com. Thanks! Love your writing. Great incite. Made me think. Keep up the good work. I was never very good at the acting exercises of “What color are you?” “What animal are you?” I mean, I don’t remember my dreams let alone know if I dream in color, which I doubt. Animal? I’m the badger that’s going to rip your face off for asking. I saw your post to A2. That was a home run! She doesn’t always respond with much more than a like, so well done you! Plus you can speak to her from a shared experience. Again, thank you for taking the call!! I assume you’ll let us all know if you get that pilot! I’ll be praying for you! Good question and great answer! I ponder this myself. I have come such a long way in the past 2-3 years, it’s amazing and it’s because of my savior, Jesus Christ. He has shown me the way ♥. I love the one quote you have on here especially “Don’t judge someone’s story by the chapter you just walked in on”. Gave me the goosies 😉 Have a lovely night! Love your bog and good luck getting the part! I’m so glad I clicked on your blog! What a great post, and it’s got me thinking. I can’t come up with three words right now, but it will be what I ponder today. Well, I can give you one: saved by His blood (okay, that’s four). I look forward to your future posts and hope you get the part! Powerful! Bless you for sharing! Loved reading your post . I think I keep rethinking myself !! And grace is what I should lean on .! Loved how you dispersed your words with relevant photos . Brilliant . I’m mostly fumbling around with this blogging trying to work the art out . Thanks for your encouragement . Just getting started. ;). Great piece!! I weirdly glad you struggled with that question–and I love the way your post provides the real answer: you’re someone who can’t be reduced to any three words. None of us can! And, wow, I wish I could type–that should be I’m weirdly glad. Not I weirdly glad! Cleverly Cheerful and Enough….also, stronger than I (& others, sometimes) think. So?! Did you get the part?! C’mon! We want to know. This is almost as suspenseful as finding out which person the Bachelor/Bachelorette chose. Amazing article and question. You are right, we are more than conquerors because of Jesus and who we are through Him. Ironically, I am currently wearing a sweatshirt that my children HATE; I was wearing this sweatshirt when I took an overdose of sleeping pills (in an attempt to sleep) and chased them with vodka (to get them to work) but ended up in the mental ward of a hospital for 10 days. The sweatshirt is one I designed and had ordered. On it are 5 lines: each of the five lines says the same thing but each line is in a different language. One is Aramaic (for Jesus); one is in Latvian (just because); one is in Somali (for the poor Somali people); and I don’t recall what other languages I picked. Interestingly, the young man who transported me from Asheville to the hospital in Hickory had been in the medical corps of the army and had served in Somalia, so he knew what the sweatshirt said…which explained why he was so kind to me. The English translations is 3 words: “I don’t matter”. That’s where I was emotionally last September. A lot has changed. Oddly, or maybe it’s just coincidence, but I have been rather melancholy today and have remembered rather traumatic events all day. Maybe it’s time to take off the sweatshirt. Thank you so much for the share☺️ hugs and love! Love this! Hugs and kisses! This is an “assignment” for me before I go to bed tonight:) love it!! All those pains, all those sorrows, and victories, and defeats and getting-back-ups, and disappointments, and betrayals, and misunderstandings, and failures, and wins and losses, all those friends who were and weren’t—they all are different colors on God’s palette to paint a picture for the world to see His glory through us. We are the cross-bought people who display Him the cross-shape of our lives to the world. Thanks for the reminder that we are more than the sum total of our experiences, good and bad, because through Christ, we are becoming what He wants us to be. I relate to this post, whenever I try to describe who I am, it’s like I can only describe ne aspect of myself. And of course I can’t leave out Jesus without leaving out the whole reason I’m who I am. I heard at a camp I went to that you’re true identity is beign a child of God. I guess that’s as concise as it gets. A fav. With your identity, and in Jesus.